Since 2000 the International Institute of Social History (IISH), an institute of the Royal Netherlands Academy of Arts & Sciences, organizes the European Social Science History Conference (ESSHC). One of the chief aims of the ESSHC is to bring together scholars who study historical phenomena using the methods of the social sciences. The conference is characterized by a lively, small group exchange, rather than in formal plenary sessions. The conference is organized in many networks covering specific topics. It welcomes papers and sessions on any historical topic and any historical period. At the conferences in Ghent (2010), Glasgow (2012), Vienna (2014) and Valencia (2016) sessions were held on the culture(s) of the country house and landed estates in European history. 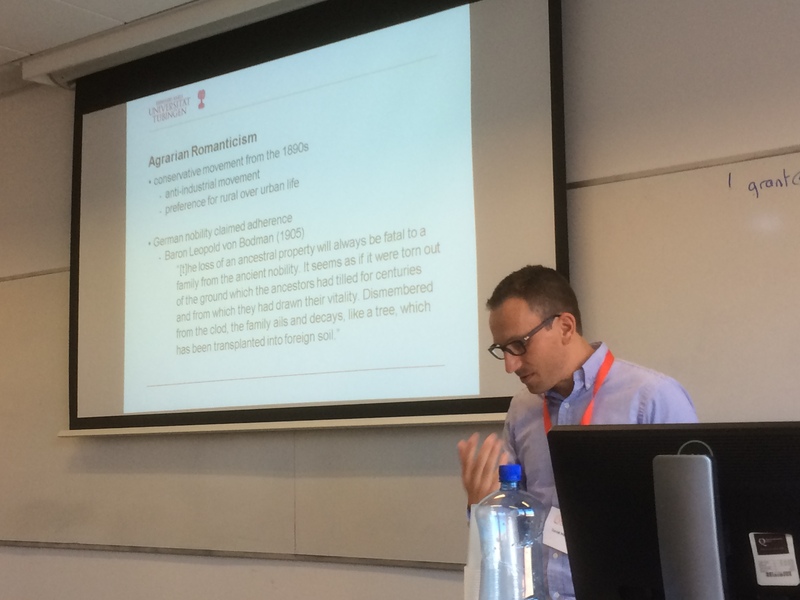 At he ESSHC-2018, held at Queen’s University in Belfast (4-7 April ) a session was organized on the European Country House in Early-Modern and Modern Times: New and Old Forms of Sociocultural Distinction and Cultural Consumption. 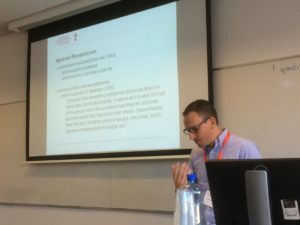 The session was covered by the Networks ‘Elites and Forerunners’ and ‘Material and Consumer Culture” and chair and organiser of the session was Yme Kuiper (University of Groningen). Papers were presented by dr Jonathan Spangler (Universiy of Manchester): ‘Leaving the Court – the Uses of the Country House for Princes at the Court of France in the Late Seventeeth Century’; dr Daniel Menning (University of Tübingen): ‘Reviving Country House Culture and Management in southwestern German states (Baden and Württemberg) around 1900’; and dr Fred Vogelzang (Dutch Castle Foundation): ‘Old and New Sports and Ideologies in (western) European Country House Culture during the nineteenth and early twentieth century’. Discussant of the session was dr Michael Seelig (University of Kiel), who did a fine job with his fair and stimulating comments. The next ESSHC (2020) will be held at the University of Leiden (The Netherlands). Dr. Marja Vuorinen (University of Helsinki) and Yme Kuiper (University of Groningen) have the intention to organise some sessions at this ESSHC-2020 about research on Country House Culture and Heritage in 20th-Century Europe (including also central and southern Europe). Scholars already interested can contact them by e-mail.